India's election commission and watchdog groups which took the case to the Supreme Court said the bonds should be ended because of the risk of businesses making secret contributions to influence decisions (Photo: NOAH SEELAM/AFP/Getty Images). INDIA’S Supreme Court today (12) ordered parties to name anonymous donors behind tens of millions of pounds in funding as hostilities intensified in the country’s mega-election. 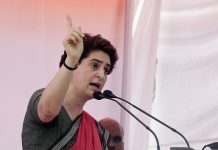 The order came ahead of the second round of voting and after the election watchdog called for a clampdown on prime minister Narendra Modi’s personal television channel, saying it breached campaign rules. While Modi and his opposition rival Rahul Gandhi returned to the campaign trail, the country’s top court gave parties seven weeks to name people who have bought ‘electoral bonds’ in recent months. Rival parties are said to be spending up to £5.35billion ($7bn) on the election, which started yesterday (11) and runs through to May 19, and funding sources have come under the spotlight. The bonds bought for between £11.46 and £106960 and then given to a designated party are controversial because they are anonymous. India’s election commission and watchdog groups which took the case to the Supreme Court said the bonds should be ended because of the risk of businesses making secret contributions to influence decisions. Modi’s government, which introduced the bonds in 2017, opposed naming donors. The ruling Bharatiya Janata Party (BJP) is the biggest beneficiary of the bonds, according to the Association for Democratic Reforms (ADR), one of the groups behind the case. More than £114.60 million in bonds were bought in 2018, according to the Factly Indian data journalism portal. Experts estimate that at least the same amount was bought in the months ahead of the election. According to the ADR, the BJP, the world’s biggest political party received about £114.60m in total donations in 2018, of which more than half came from anonymous sources. Congress brought in about £23m and about 60 per cent was anonymous. The prime minister, who won a landslide in 2014 and is considered front runner in this race, faced increased pressure after the election commission said his NaMo TV breached campaign rules. The commission ordered NaMo TV, which is sponsored by the BJP, to submit all of its content for approval. 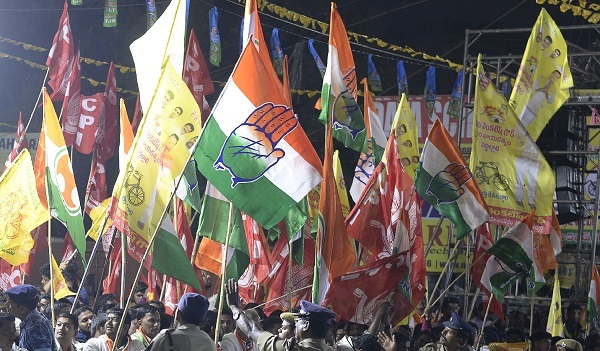 Under Indian election rules, any content deemed campaign material including adverts, films, and even social media needs permission from the independent watchdog. 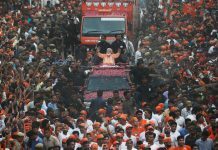 NaMo TV shows 24-hour programmes on Modi rallies, speeches, and even rap songs and dance routines devoted to the normally austere leader. It was being broadcast as normal on Friday (12).